I had such a fun time with my friends doing this race! I loved training with all of them and getting to know them better, although some I got to know maybe a little to well! My van went up the night before and we stayed at the Marriott. It was so nice to sit in a hot tub and have a whole bed to myself! 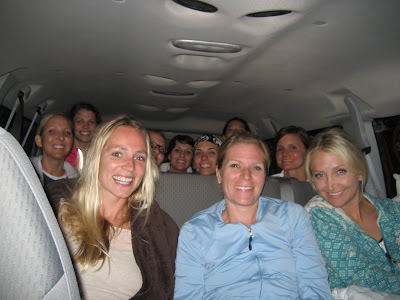 The next morning we decorated our van and hung bras on all the doors and took off to the start line. Sadie started off the race for us and did such a great job. I ran with Brooke since my first leg got cut from the race. It was weird running with her since we usually jabber the whole time but we were so focused! We had 3 kills and I even had time to pick a pretty flower and put it in my hair. (I love finding a flower for my hair while I run, I always feel so gross and sweaty so it makes me feel pretty and girly again. )Ok, so maybe Brooke was totally focused and I was busy looking for a good flower. Anyways, we did super good! My van didn't get any sleep since we decided it would be safer for the 2nd van if we ran their 2nd legs with them. We ran right through the ghetto in the middle of the night! It was absolutely terrifying! Sadie got harassed by a car full of gang members, Mia got lost, and Sara and Tara were were chased by some boys. Although it was scary it made for some good stories. Our van ended up with 37 kills! 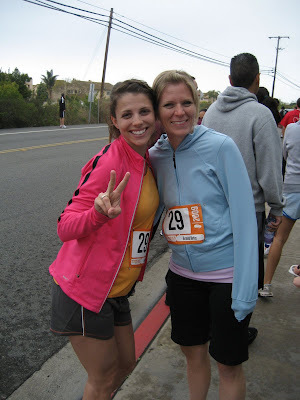 I loved passing other runners while being 4 months pregnant! It seriously gave me such an ego boost! I'm so proud of myself and my team! I can't believe we ran all day and night on no sleep and Denny's food. Talk about stomach issues! I'm so excited for next year! I'm a pro at driving a 15 passenger van now! Van 1 at the finish line!!! We look so hot for no sleep and running for 24 hrs! It's a dang good thing you can't smell us because we stunk! 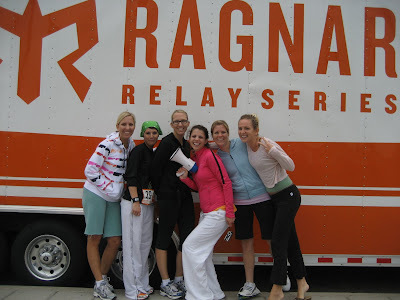 Seriously Ragnar Races are the best. I am so glad you got to experience one. I am so sad I don't get to be a part of my team this year in the wasatch back. They are one of those love hate things. You hate it during then can't wait till next year after you finish! My team wants to do the wasatch next year. I'm sure neot everyone will be able to since we have to travel to Utah, you should do it with us!